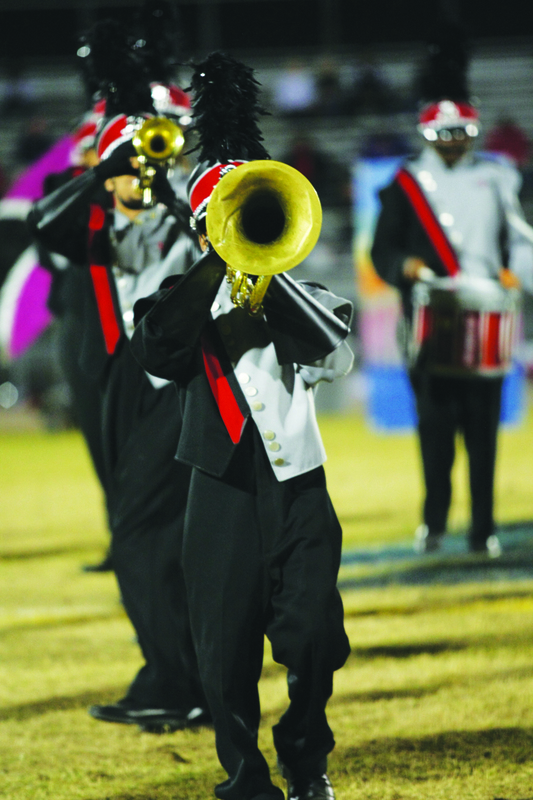 More than 2,500 Hillsborough County students representing 26 area high schools flocked to take part in the annual Florida Bandmasters Association FBA Music Performance Assessment hosted by Bloomingdale High School Band Boosters earlier this month. 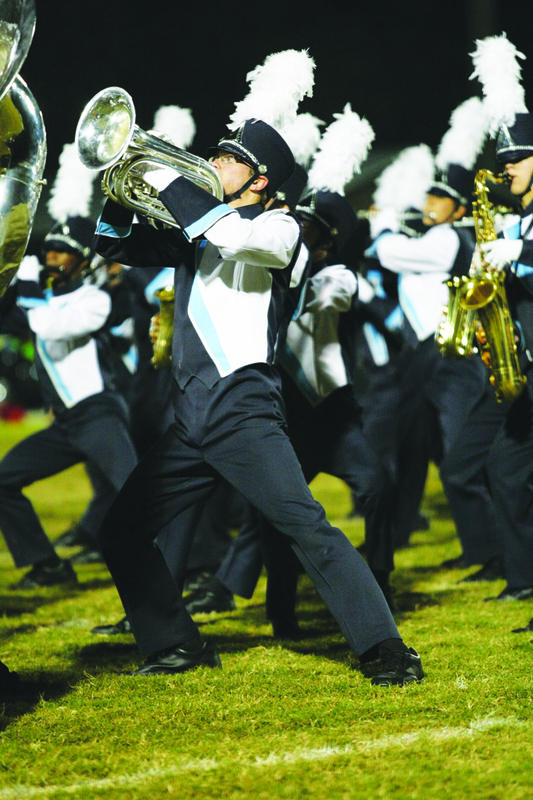 One by one, each band took its position on the field, welcomed by cheering fans and family members who filled the bleachers despite the unseasonably cold day to hear their band perform. Nearby area schools earning an ‘excellent’ rating included Brandon, East Bay, Spoto, while Bloomingdale, Durant, Newsome, Plant City, Riverview and Strawberry Crest went home with the highest rating; ’superior’. To the delight of their sponsors and guests, the 255-member Bloomingdale High School Rajun’ Bull Marching Band, took the field as the final band of the day performing its “Bull’s on Safari, Welcome to the Jungle” show, which earned the Band’s 28th consecutive superiors since the school’s opening. 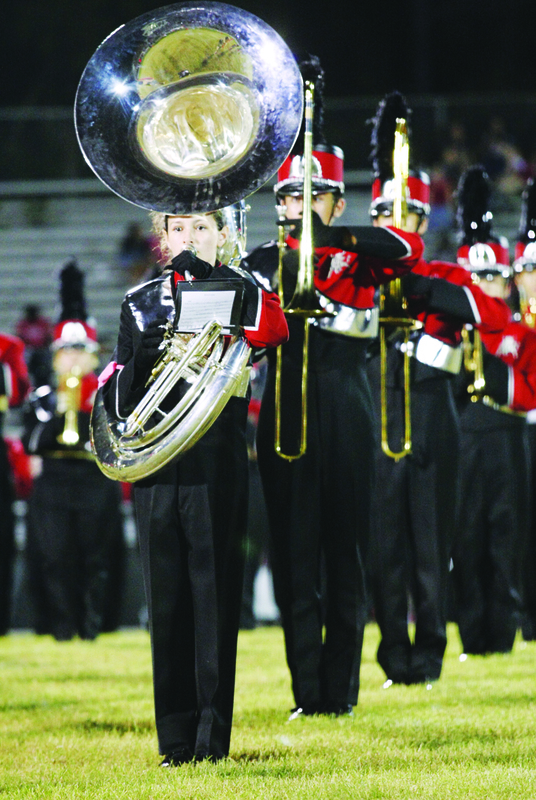 “I am at awe of what students have been able to accomplish,” said Mary Odum, whose granddaughter is a member of the Bloomingdale High School Crimson Color Guard. Of course, such a high level of excellence is nothing new to the Bloomingdale High School music program, which under the direction of Jon Sever, has consistently proved itself to be among the top programs in the district and state. As one of the largest in the district, the Rajun’ Bulls have had a chance to represent the school and the country on a number of various occasions. As part of the 2008 Beijing Olympics, the Bloomingdale’s Orchestra was selected to perform in Beijing for the International Youth Festival, while the Rajun’ Bulls Band, Orchestra, the Crimson Guard and the Elite Ambassadors Show Choir were selected to perform in the 25th anniversary New Year’s Day parade in London. For more information about local bands and the Florida Bandmasters Association FBA Music Performance Assessment, visit www.fba2014 .com/news-and-information.html or www.fba2014 .com/volunteers .html.